Image is Vert-. FOV needs to be increased to compensate. See Field of view (FOV). Default is 80°. See Field of view (FOV). Scales with texture quality preset. To set manually see Anisotropic filtering (AF). Find <gfx/fov> and change 80 to the desired value. Add the following to the end of the file and save it. This solution dramatically increases the FOV. Only recommended for multi-monitor set-ups or for those who want an extremely high FOV. Journal does not scale correctly, text remains readable however. Backslash cannot be bound. Arrow keys cannot be bound, but function as movement keys by default. Error creating thumbnail: convert: Expected 8192 bytes; found 8151 bytes `/tmp/localcopy_12311a5e6a9d.png' @ warning/png.c/MagickPNGWarningHandler/1654. convert: Read Exception `/tmp/localcopy_12311a5e6a9d.png' @ error/png.c/MagickPNGErrorHandler/1628. convert: no images defined `/tmp/transform_0d3562819a27.png' @ error/convert.c/ConvertImageCommand/3258. Error creating thumbnail: convert: Expected 8192 bytes; found 8151 bytes `/tmp/localcopy_ee0c53fd8226.png' @ warning/png.c/MagickPNGWarningHandler/1654. convert: Read Exception `/tmp/localcopy_ee0c53fd8226.png' @ error/png.c/MagickPNGErrorHandler/1628. convert: no images defined `/tmp/transform_d4d4338d86e0.png' @ error/convert.c/ConvertImageCommand/3258. 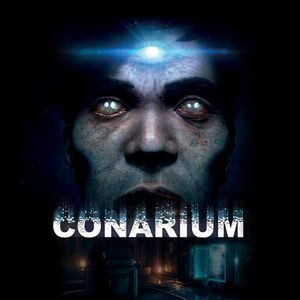 See Helix Mod: Conarium (DX11).